I'm currently on rev 3 of my ThinkPad-specific LED retrofit driver boards. They fit into the space on a stock inverter freed up by removing the CCFL step-up coil. I'm on pace to make about 200-300 kits this year, and I'm still making them all by hand. 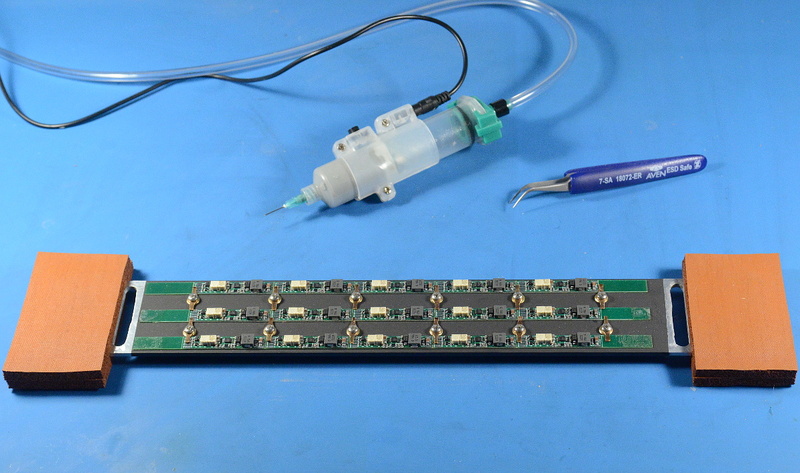 Solder paste applied using a pneumatic dropper, components placed using tweezers and stereo microscope, then reflowed using a hotplate (thus the little placement jigs with silicone handles).